The foundation for using the Apprentice Cards is to familiarize yourself with the 1 Card reading technique. This in turn can be used for choosing a card for the day or to get a quick insight into a particular situation. Before you start, it is very helpful to choose a quiet space. Breathe in and out a few times. This will clear your mind and you will be more focused and receptive. 1– Center yourself: Focus your attention on your breath. Relax into it. 2– Reflect on a particular issue, problem or situation that you would like to resolve or, if you do not have anything in particular to ask, just open your mind to the right image for you at this time. 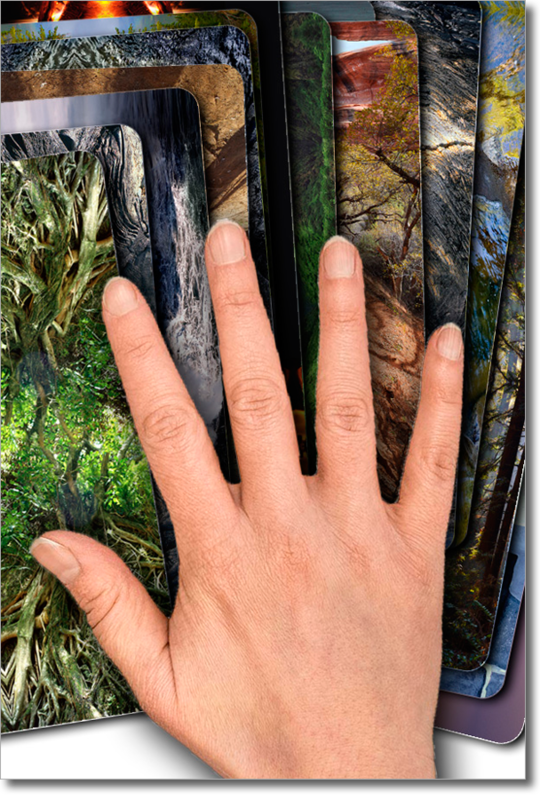 3– Lay out the cards, or hold them in your hands, color images facing you. 4– Close your eyes. Not looking at the images, feel yourself being drawn to a particular card. I wanted to know which card would best illustrate A ONE CARD reading. Be aware of your senses when looking at the image that has been presented to you. Resist turning the card over until you have full heartily felt where the image is taking you. This is key to intuitively receive the full message. (Please note that there is no guidebook explaining the meaning of each image; it is purely based on your personal interpretation). The card I chose happened to be the first card in the deck. 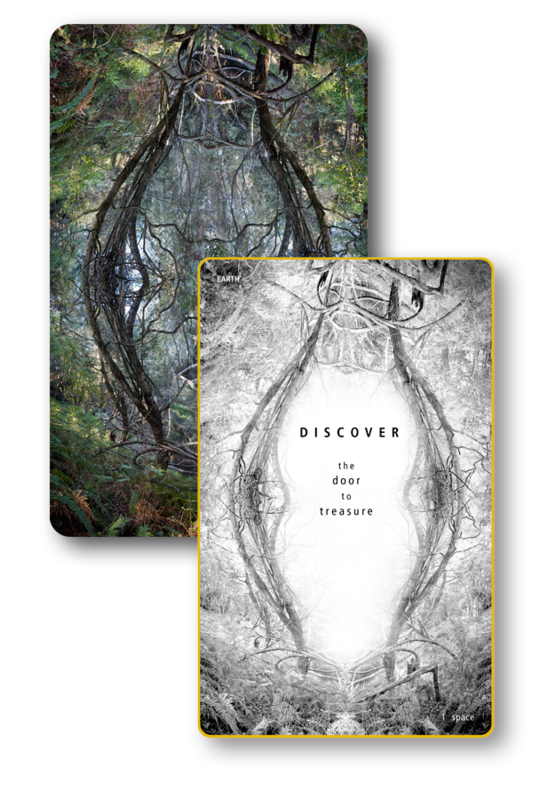 My initial feeling was that this card was very appropriate for this demonstration, as for me, it is an invitation to inner exploration. Should I choose to accept the invitation, the image shows me that I will receive proper guidance. 6.- Turn the card over and take in the KEYWORD (in capital letters) and the message. Do they provide you with clarification or confusion? 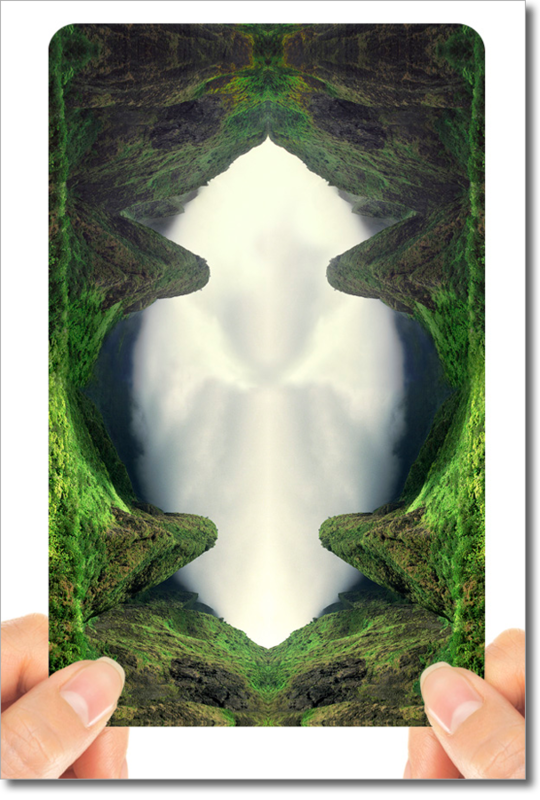 Reflect on what is being communicated to you by the card in answer to your initial intention. If you need more clarification, repeat the process and feel yourself being guided to another card. 7.- The cards act as a catalyst between the outer world and your inner nature. Nature is communicating to you through these images. Absorb their essence; feeling and knowing that essence as your own. Enjoy your journey with the cards, knowing that this is a personal and intimate interaction between you and the natural world. 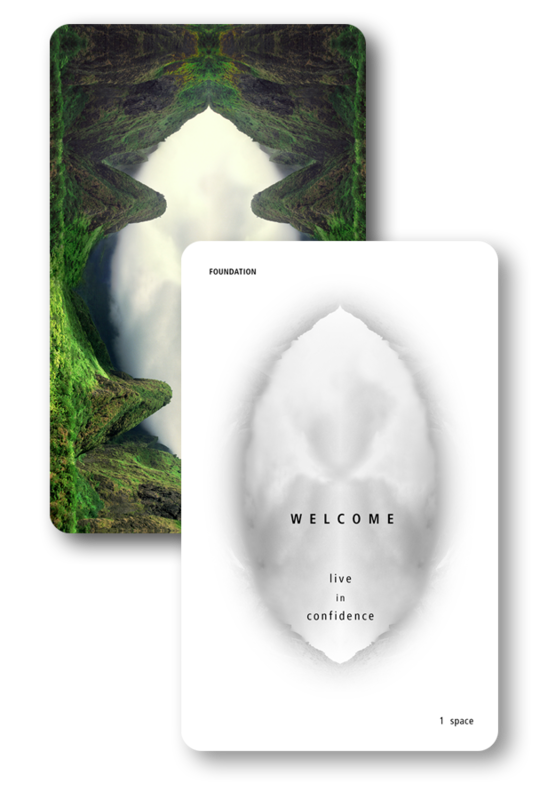 When I read the keyword and message, it confirmed that it was the perfect card for this demonstration, meaning that whomever seeks a reading is invited to do so with confidence. For questions or thoughts that require a more in-depth reading, utilize the 3 CARD READING technique. This process gives you the opportunity to access your higher self, allowing you to discover your true, personal path. This path will be revealed as you stay with the process, listening to your own intuition. The answers might be immediate, or they may be revealed to you later, when the time is right. Before you start, it is very helpful to choose a quiet space and take the time to center yourself. Breathe in and out a few times; slow down your breath. This will clear your mind and you will be more focused and receptive. After formulating your question choose your first card (as stated in Choosing a Card) . This first card represents your present situation. Stay with the image in order to experience how it translates your feelings. Notice where and what you feel in your physical body. Take your time to explore what is being felt. Nature communicates through all 5 senses. Then, turn the card over and read the keyword and message. How do they support your question? Be open minded. The cards are taking you through a learning process. Even though you may feel that you already have your answer, allow the card to take you even deeper. Breathe. Be still. Be receptive. This is just the beginning. “Which 1st card would best explain the 3 CARD READING process? To my surprise the first card that came up was the one I had already used as an example for HOW TO CHOOSE A CARD. So I felt that I was on the right path. When I turned it over it confirmed that I needed to trust that whatever card would come up next was going to best explain the process. When you are ready to go further, choose a second card, and repeat the same process. This card suggests possible solution. It will give you further insight into your exploration. Please remember that this is an intuitive process. It is an inner journey meant to take you to the depths of yourself, allowing you to find your own solutions. As stated before, there is no book that will give you a standardized answer. The solution is within yourself, trust the process. “Which 2nd card would best explain the 3 CARD READING process? This image visually gave me a sense of movement and direction, a distinct evolution from the first card. It confirmed that the role of the second card is to show possibilities. 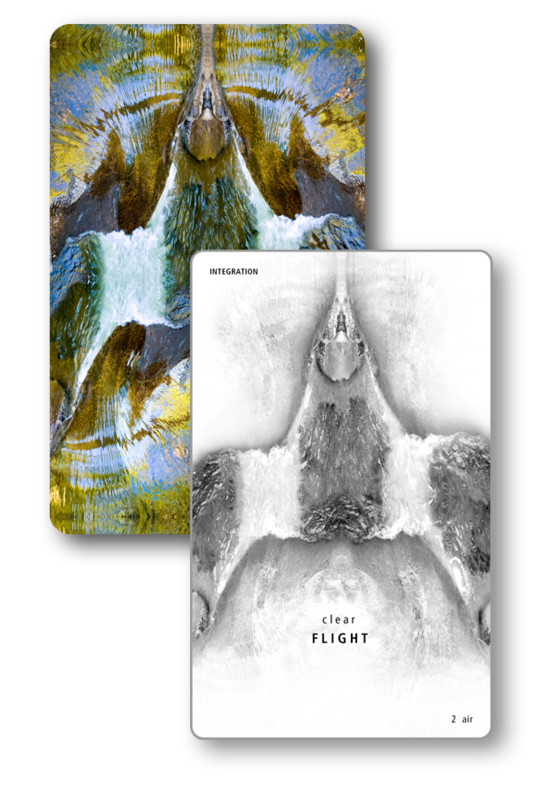 The message on the back of the card “clear FLIGHT” says to me that it is opening the way for solutions to appear. The third card will confirm the direction that you feel inclined to take (or not take). *To read more about brain reprogramming please click here. Notice how the key words and messages of the 3 cards relate to one another in the sequence. This process will give you further clarity and confirmation. 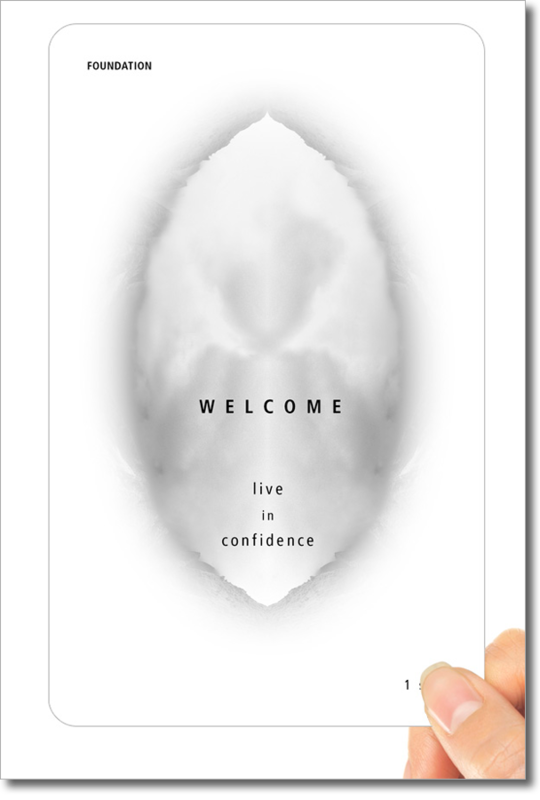 •When I look at the 3 messages and keywords: “WELCOME live in confidence, clear FLIGHT, and DISCOVER the door to treasure” I feel that the cards explained the process. •The first card represents the present situation. You want to remain confident as you choose your cards. •The second card represents possibilities. You want to remain open as you choose your cards. •The third card represents outcome. You may or may not get an immediate answer, but trust the process. If you would like to go further with your reading, please go to the Seven Groups Page. Working with these images can have a deep and powerful effect and may evoke old memories and trigger suppressed emotions. For any further questions, feel free to contact Monique at info@apprenticecards.com.